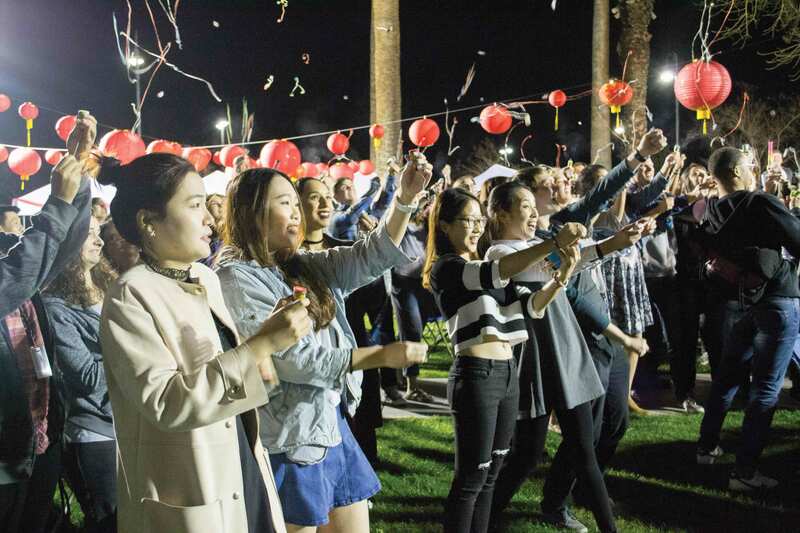 Traditional red-paper lanterns were placed throughout Harden Square Jan. 31 where California Baptist University’s International Center and Community Life hosted a Lunar New Year Festival to celebrate the Chinese New Year. The CBU community gathered together with international students to learn about and appreciate Asian culture and traditions. The festival celebrated the turn of the traditional lunisolar Chinese calendar, making this the Year of the Rooster. Leslie Shelton, director of International Student Services, said the event was designed to honor East Asian students and help introduce the culture to CBU. At the event, students received free Boba tea and traditional Asian foods such as pot stickers. There were different booths around the event where students could get their name written in Korean or Chinese, practice writing characters or play Asian-inspired games. Robyn Teruel, senior psychology major and International Center intern, said each year the festival gets bigger with the different activities and involvement from the CBU community. 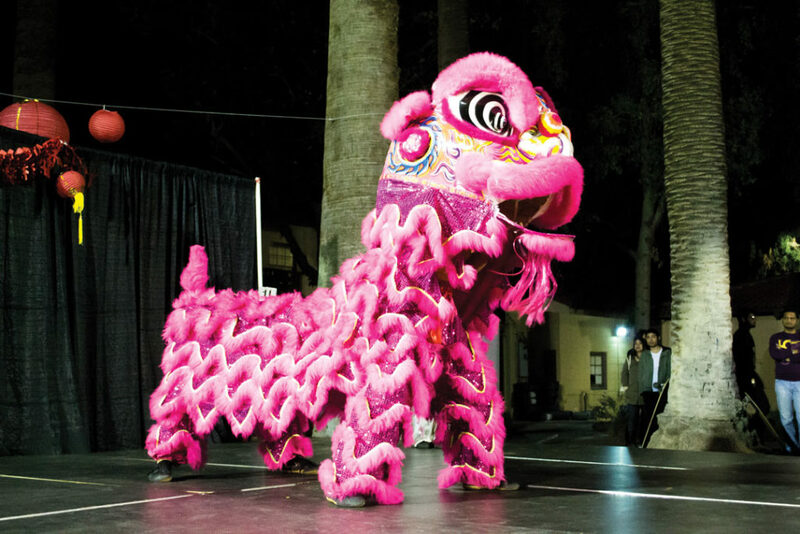 A stage was set up where professional dancers demonstrated Kung Fu and performed a traditional Chinese Lion Dance. Rebecca Clinton, junior psychology major, said it reminded her of her International Service Project to Taiwan.